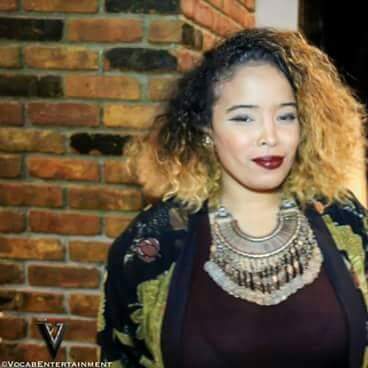 Listen Now: MC Bravado Drops New Audio "Go Westbrook"
Pilar Scratch is a celebrity wardrobe stylist based out of Manhattan who’s establishing her own style platform and magazine. She got her start interning at Patricia Fields boutique and within four years, she expanded to a major figure in the fashion industry. Scratch gained her initial clientele styling her aunt, Rah Digga, and from there Musiq Soulchild, DJ Enuff, NBA player Eric Williams, Lil Mendeecees and many other public figures and celebrities. As of now she’s in the works of filming the pilot for her upcoming reality show for Bravo, releasing next fall. Her new digital magazine Fashion Gxd Magazine features emerging artists and gives them the opportunity to work with celebrities. Scratch is definitely on her way in the fashion world and beyond. What inspired you to begin your profession and when did you start? In 2010, I began my career as a fashion designer. I had my premiere fashion show at a local coffee cafe in Newark, New Jersey. I literally made all the pieces from “scratch.” I didn’t have a budget. I was a college student, working part time selling soups. So, I took curtains, sheets, blankets, pillow cases and manufactured my collection. As impressive as that sounds, it got me in a lot of trouble as a child. My aunt, Rah Digga, saw the hard work and effort I put into my fashion show and came out to support. From that moment my career took off. That same fashion show, I found out I was pregnant. My biggest inspiration behind my career is my son, River Mason Eromosele. Before becoming a mother I was attending college to become an educator. River made me pursue my dreams. I wouldn’t want my child to give up on their passion—my son made me rethink my career path. In order for me to be a happy and healthy mother for him, I had to walk in my purpose. The biggest highlight of my career? I have two moments. The first being when I was invited as a celebrity guest to Rihanna’s private listening session for her Unapologetic album. It seems like eons ago. To have been escorted to VIP and meet Rihanna, Maxwell, Tyson Beckford; to be in there was absolutely flooring. I’ll never forget that moment and the feeling that came over me. My second moment was this year, actually. I was shopping in Short Hills mall in Millburn, New Jersey with my son and my mother when a few people recognized who I was. I took a few images with them, River as well. Then like a domino effect, a swarm of people were around us. I truly didn’t know what happened but we eventually had to be escorted out the mall by security. It was a very scary moment but definitely a highlight. It made me recognize my reach on people. As well, the positive effect I have and that I actually utilize my platform to be a positive role model. It was amazing. My life has changed dramatically. I have a vast following on social media, of collectively 90k followers, just from speaking my truth and being a celebrity wardrobe stylist as oppose to being stopped, asked to take selfies a million times a day and the free swag from sponsors. I’m able to travel all over the world with my child. I’m able to provide for my son in ways I never thought possible. It’s very refreshing, humbling and a rewarding experience. I’m currently writing my first book , successfully running my magazine, momager to my son River who is a professional model, and filming my sizzle reel for my reality show. I’m pretty booked but I am absolutely floored with the alignment of the universe. It’s a blessing. What characteristics do you believe are important to be successful and why? The characteristics to me that every successful person has is in the belief of the universal laws. The law of attraction being a vital belief I find among a large quantity of successful individuals. Think, believe, and receive. If you can change your thoughts you change your life. Once you believe you already have something it’s yours. It’s that simple. What advice can you offer to those pursuing a career in the industry? The best advice I can give someone whom wants to pursue a career in the industry is to network, remain loyal, and be upfront about your intentions. Your network determines your net worth. Do not be afraid to meet new people. Attend industry events, collect business cards and exchange social media platforms. Building authentic relationships with people is vastly significant. Relationships can make or break your career. Always remain loyal to your circle/contacts. With any relationship in life loyalty is vital. That same rule applies for the entertainment industry. Be upfront, be honest, be yourself. The message I want to convey through my art is that no matter obstacles you may face, you can achieve your dreams. I was a 19 year old single mother living in a shelter. Now I’m one of the most recognized stylist in Manhattan, at 25 years old. When you walk in your pursue towards the divine goal the universe has manifested for you anything is possible. Walk in your purpose, create your destiny.